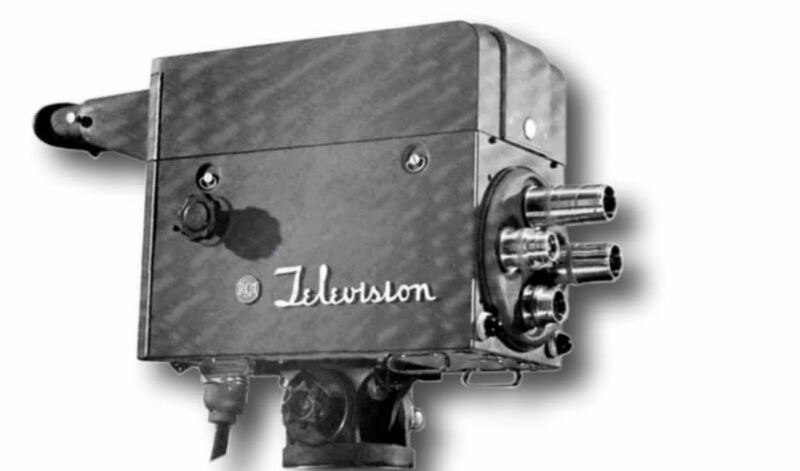 The RCA TK10A and TK30A camera heads are essentially the same. The differences being in the CCU, PSU and viewfinder. A TK-30A, with viewfinder, is pictured above. The TK10A is for Studio use and the control equipment is console and rack mounted. The TK30A is for Field* use and the control equipment is fitted into two portable cases. * The term "Field" is the same as the UK term "OB or Outside Broadcast"
There are a number of references to the TK-10A & TK-30A in the RCA Broadcast News. A good one is :- RCA Broadcast News, June 1947 page 56-63. The first reference to the prototype camera seems to be in # 42 January 1946 page 48. A short report in Wireless World November 1946 Page 380. See www.AmericaRadioHistrory.com for magazine downloads.